It’s blog month at Compassion again! I am not sure If you remember but last year during the month of September we had the goal of 3,108 children we wanted to find sponsors for and we achieved that goal! This year our goal is to get 3,160 children sponsored online by 11:59 p.m September 30th. I am writing to you today to give you a bit of advice. When you are grown you will see things differently than you do now and I hope these things will help you as go through life. I would like to start by saying your worth is not in what you have, what you do, have had done to you and it’s not what others think of you. Your worth is in God and to Him you are worth more than anything. The second thing I would like to tell you is….The summer between 4th and 5th grade you will attend Bible school and will give your life to Jesus. you must always remember to not believe anyone who tells you he is not real, not even grownups. He is real and your life will be so much easier if you allow him to stay in it now instead of meeting back up with him when you are in your 40’s. Trust me on this. You will move 11 times between 4th grade and 9th grade during some of these moves you will be moving to different states. The other kids will pick on you because you talk different and dress different. Remember People will like you for who you really are so be yourself, do not try to change to be like them. Those who like your fake self don’t really like you. Don’t do things you don’t want to do or follow the crowd just so other kids will like you. Don’t act tough, you are not tough, you are a sweet girl, stay that way. If someone is mean to you forgive them, you don’t want to carry that anger around your whole life. Pay attention in school especially History class, I know you think its boring right now but trust me on this, one day you will love History and wish you could go back to school. Don’t ever say you can not do something. It’s not a failure to try something and not succeed. Failure is not ever trying at all. Don’t be rushed to be a grownup, you have your whole life to be a grownup. You are loved and very special, don’t ever believe anything less. Never cut yourself down and when someone gives you a compliment believe them and say thank you. Love others, Love yourself but most importantly love God. If you put him first in your life the everything else will fall in place. I know I probably have missed a lot but these things I have listed would have probably made my life a bit easier had I known them when I was your age. The month of September is blog month at Compassion again and this is my first assignment. The assignment was to write a message from my grownup self to my childhood self. I think a lot of the things I wrote to myself could also be written in a letter to my sponsored children. Writing to a child can make a world of difference in their life. Sometimes children in poverty have low self esteem and nobody to tell them how special they are and to love them. 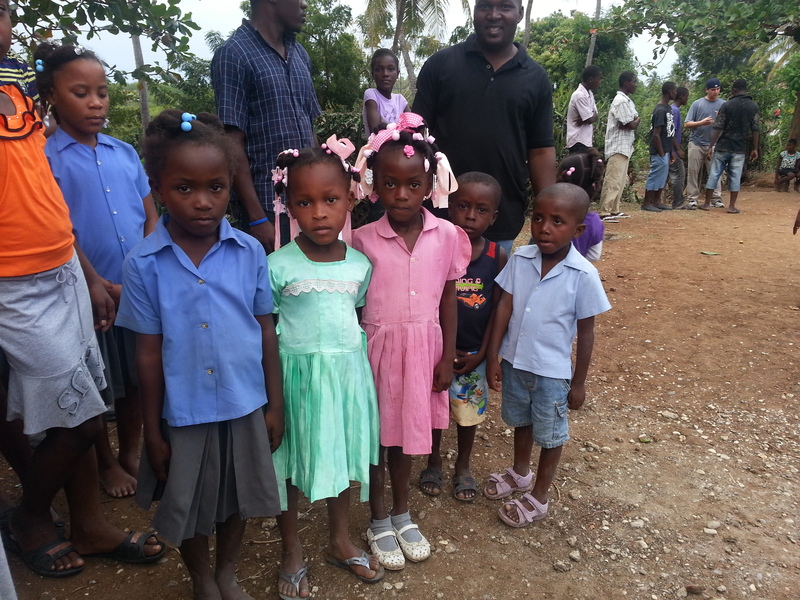 This month our goal is to find sponsors for 3,160 children. 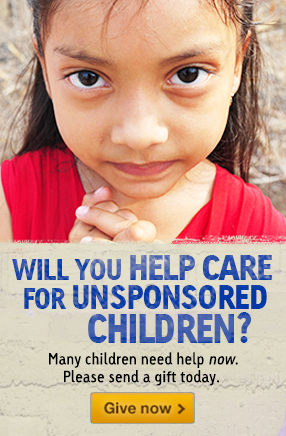 You can find out more information about sponsoring a child by clicking the picture below. You can also join us by using your own blog to help us with our goal. You can get more information by clicking below. If you decide to sponsor a child or use your blog come back here and let me know 🙂 Have a blessed day and thank you for reading! 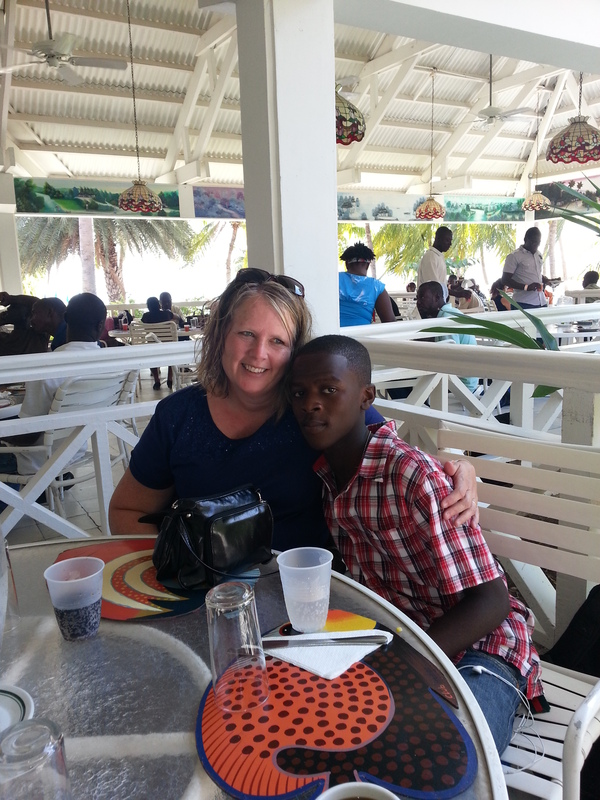 I enjoyed your post…I agree–there are so many things in your letter that you could share with your sponsored kids!! I’m having trouble thinking of what to share to my childhood self…hopefully I’ll have some inspiration tomorrow when I sit down to write the post! Thank you, It was hard to travel down that childhood road again but also made me realize that no matter where a child lives they all have some of the same sorts of things to deal with. Thank you for reading I am heading over to your blog now to see if you wrote that post yet. Hi T, it’s great work American Compassion is doing, they must have a very good Coordinator with the response from the Public that they are having as well as your support and others, it’s so wonderful to see the Children are being cared for. There was a big mix-up with Nayeli, I’ll let you know all about it by e-mail when your fully recovered. I still support Sunshine Orphanage ( Sausage ) and Ebenezer, amazingly in the 12 years that it has cared for mostly Children who have Aids, they have not had one death and yet they are doing Medically the same as other Orphanages who have, How Compassionate is our God, when we seek Him in Prayer, it is very powerful yes all Children will always be with God but its great that they have a chance to enjoy life on earth too. I would still like to be in contact again personally with a Child , but was just wondering how many times a year do you hear from your Sponsored child T and are you allowed to share about Jesus and how much He Loves them. Take Care I will be praying for you, thanks for sharing on our Blog. P.S I don’t believe everything others say T, even if they flatter me, unless it comes from their heart, which is shown by their actions not just their words. To answer one of your readers questions, compassion Australia is another branch of compassion international’s ministry. Compassion has offices in a few different countries, and Australia is one of them. I hope this helps. As sponsors with compassion since 2004 and part of the advocates network since 2009, My husband and I can say without a doubt that compassion international is a ministry you can trust. In fact, one of the four things that makes compassion uniquely distinct is their commitment to integrity. We believe compassion has a very unique approach to ministry and holistic child development. Please feel free to contact me via our blog with any questions you may have. I am more than happy to share our experiences with this wonderful ministry. Some of our children we hear from only a few times a year, but others we hear from more frequently. Compassion has recently made some changes to their letter writing system, and they are working to make it so that the children write on a more regular basis if there sponsors write them frequently. I truly Hope my comments are able to help and benefit someone here. Thank you again for your post, and have a blessed week. Thank you and I totally agree with all you said. I have been a part of the advocates network myself now for about a year and a half. I like you also believe without a doubt they are a ministry that can be trusted. I also think it’s so cool how blogging has helped to connect so many of us who have the same passion for those kids. Thank you for your visit here and also for your comments, they were very helpful. You also have a blessed week.